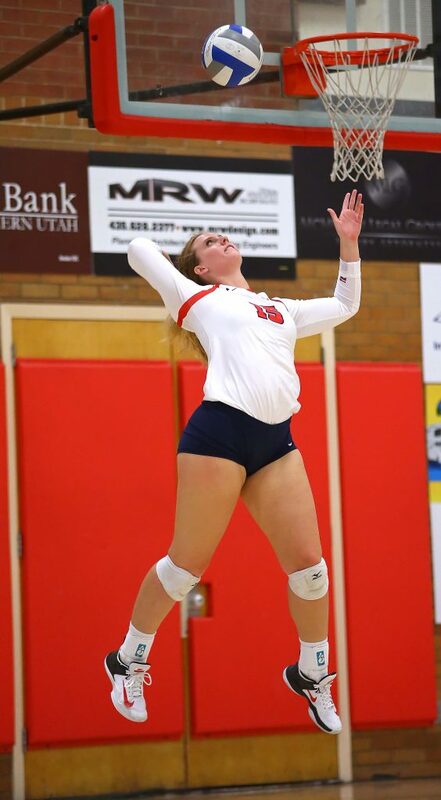 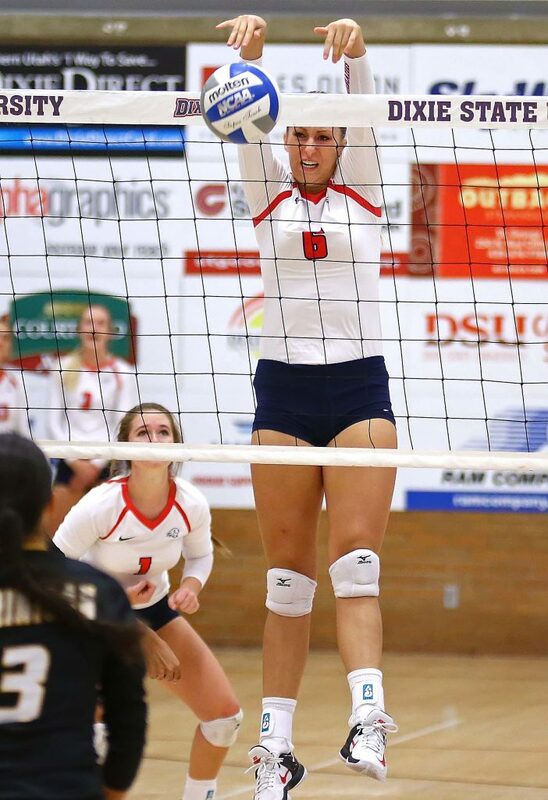 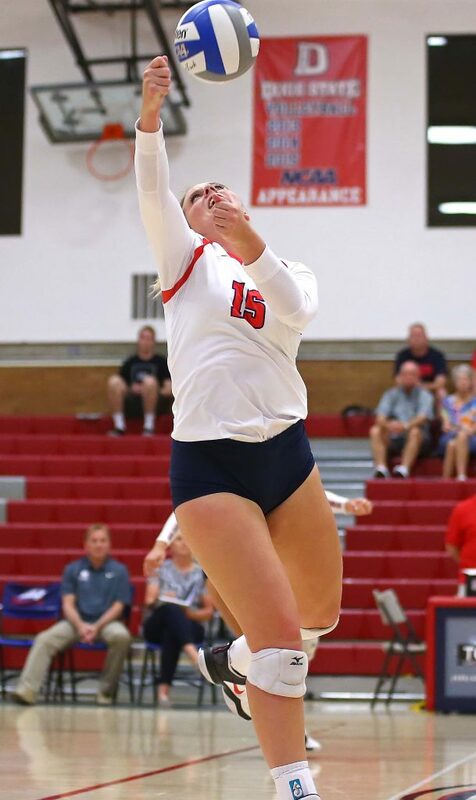 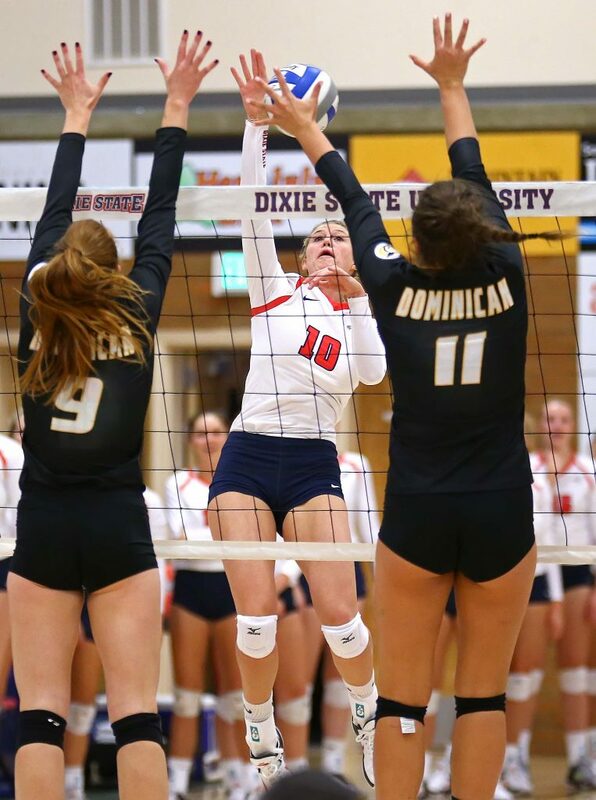 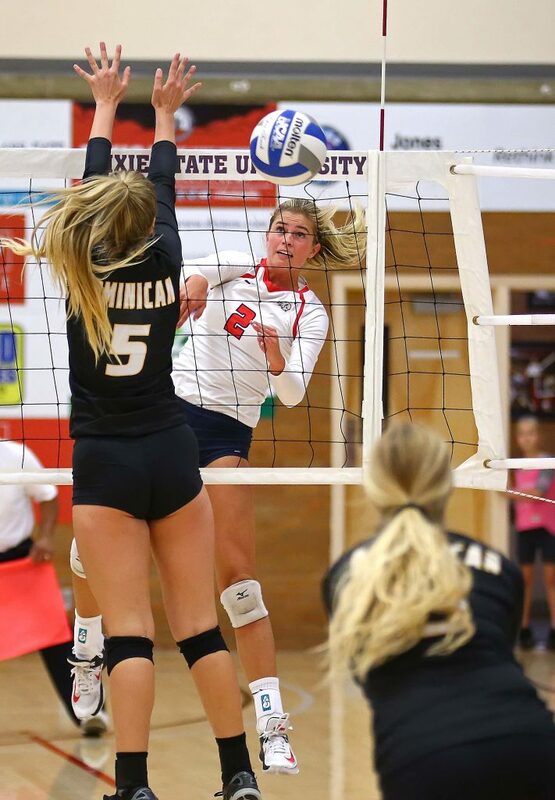 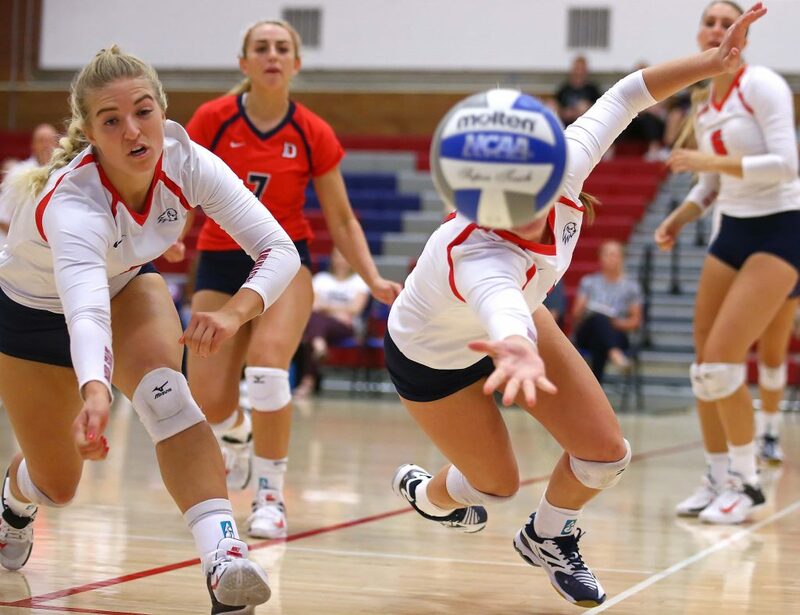 ST. GEORGE – Dixie State posted its second three-game Pacific West Conference sweep in less than 24 hours as the Trailblazers defeated Dominican University, 3-0, Saturday afternoon at the DSU Student Activities Center. 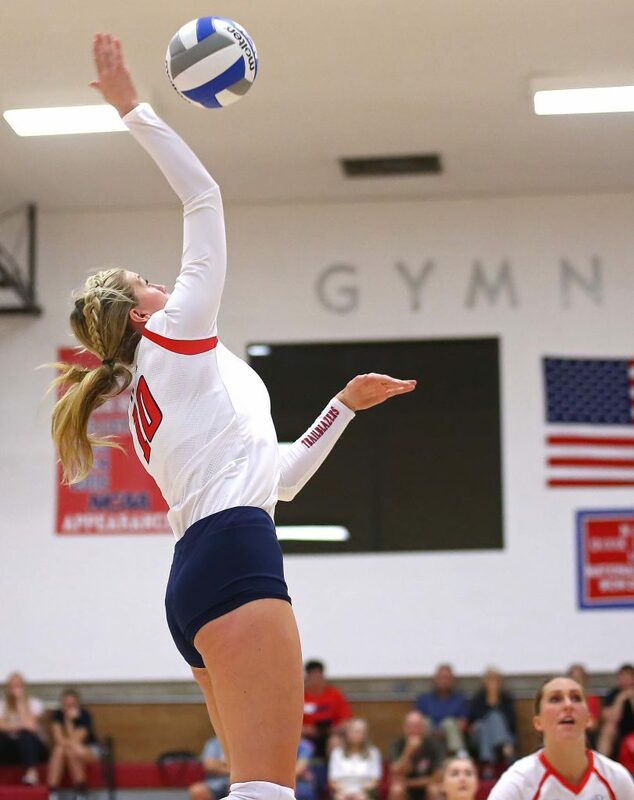 The Trailblazers (5-8/3-2 PacWest) closed the first stanza with a 13-5 run to turn a 12-9 score into a 25-14 opening set win. 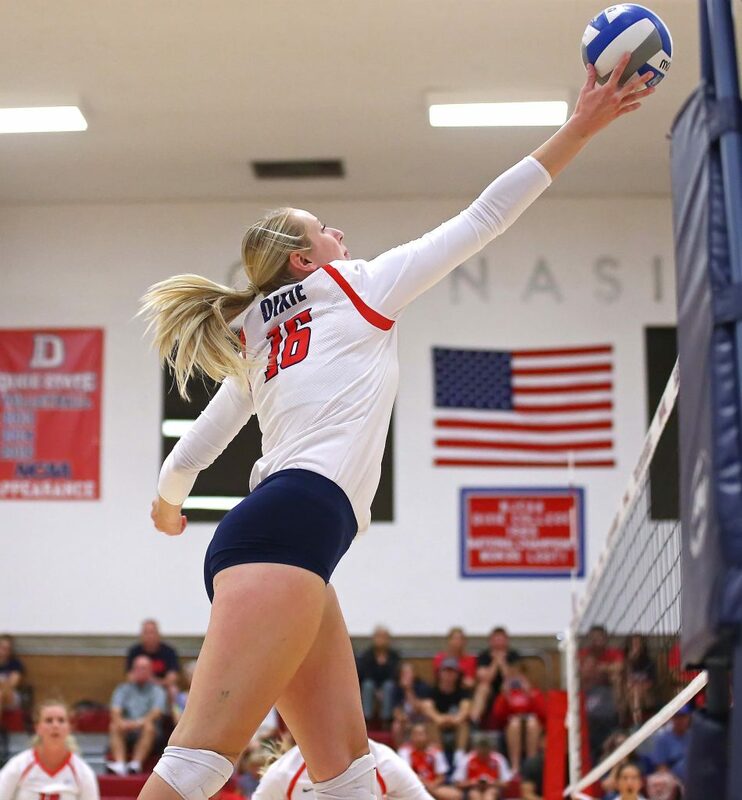 DSU slipped by the Penguins (3-9/2-2 PacWest) to take the second set by a 25-22 count, then pulled away from DUC in the deciding third frame to complete the sweep with a 25-19 result. 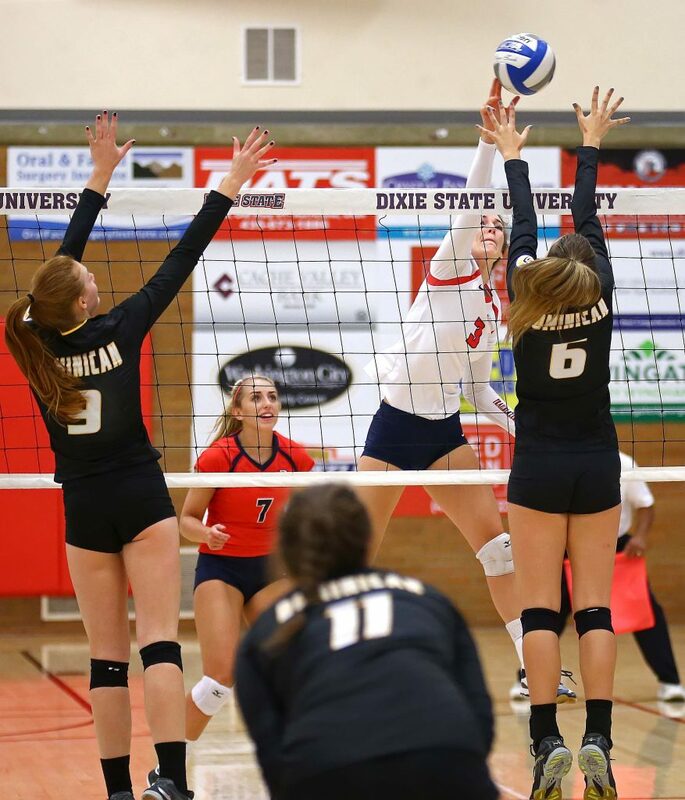 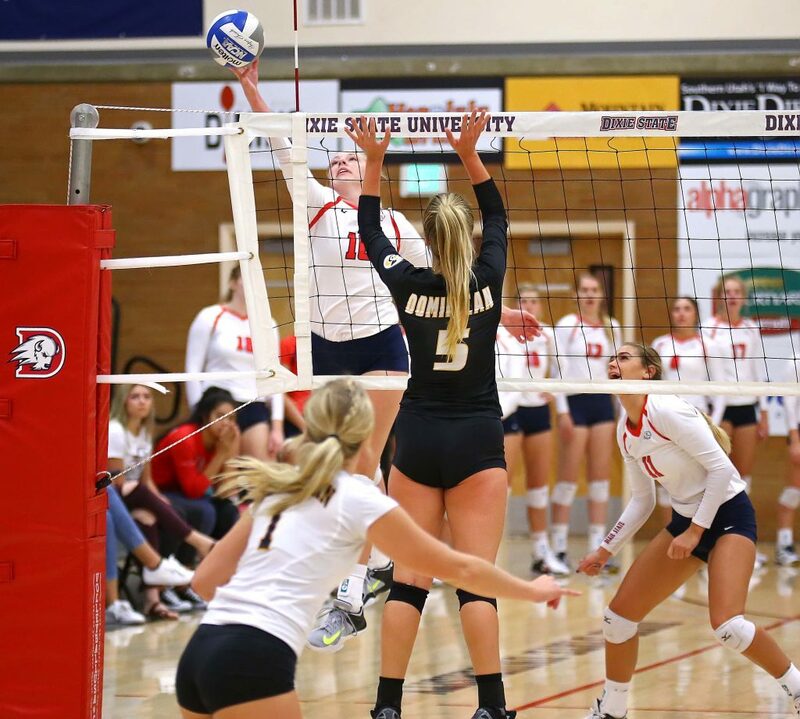 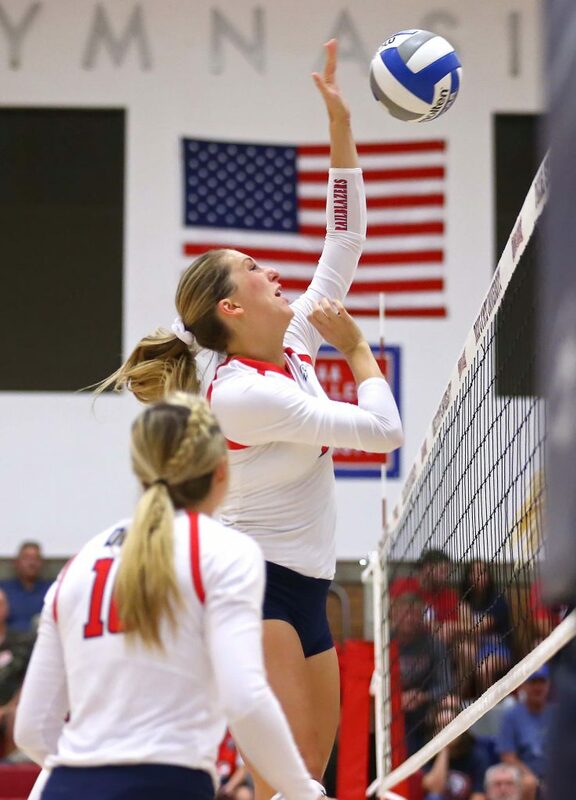 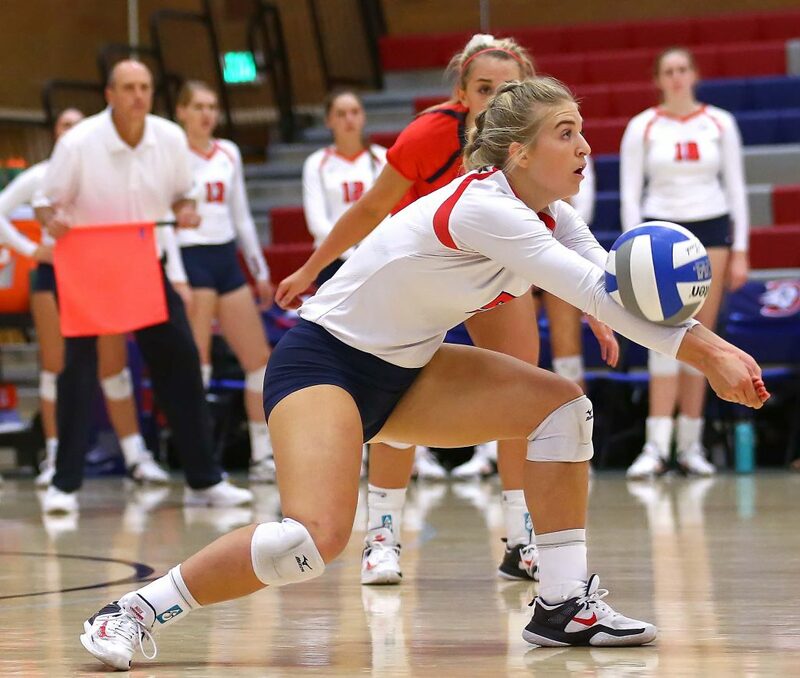 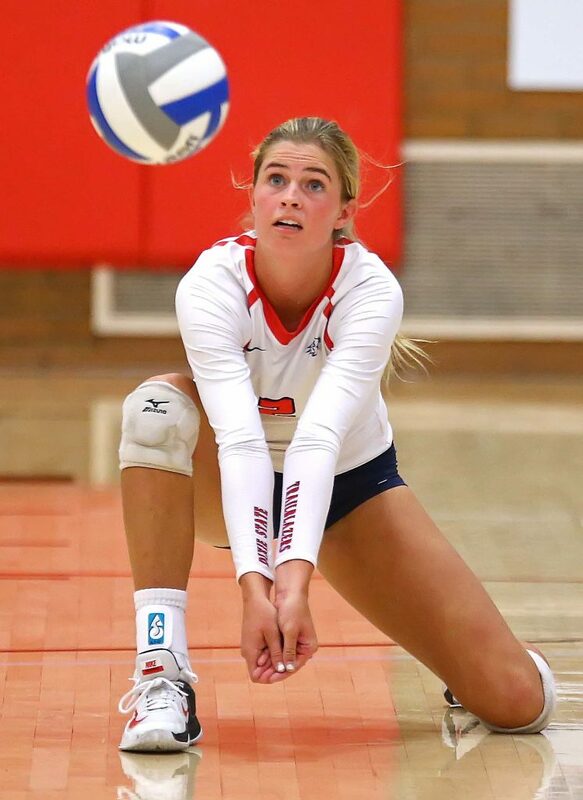 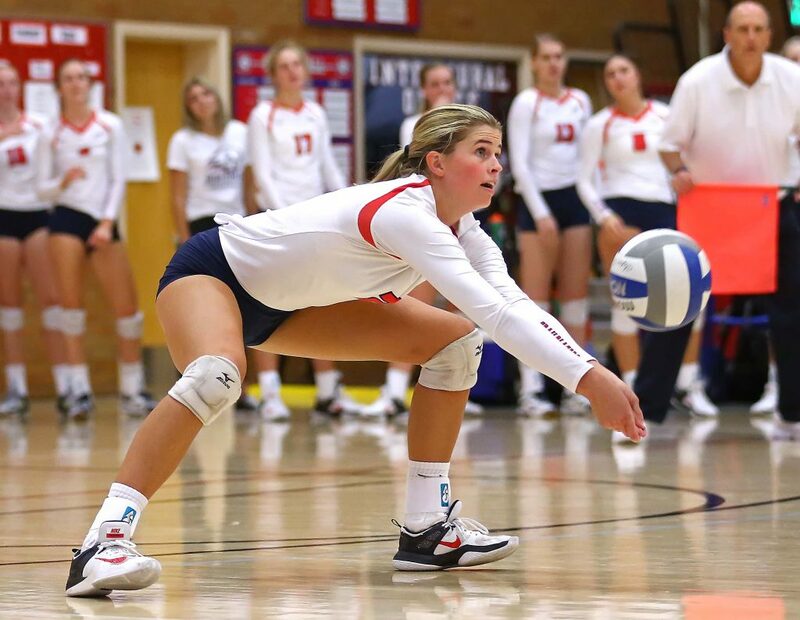 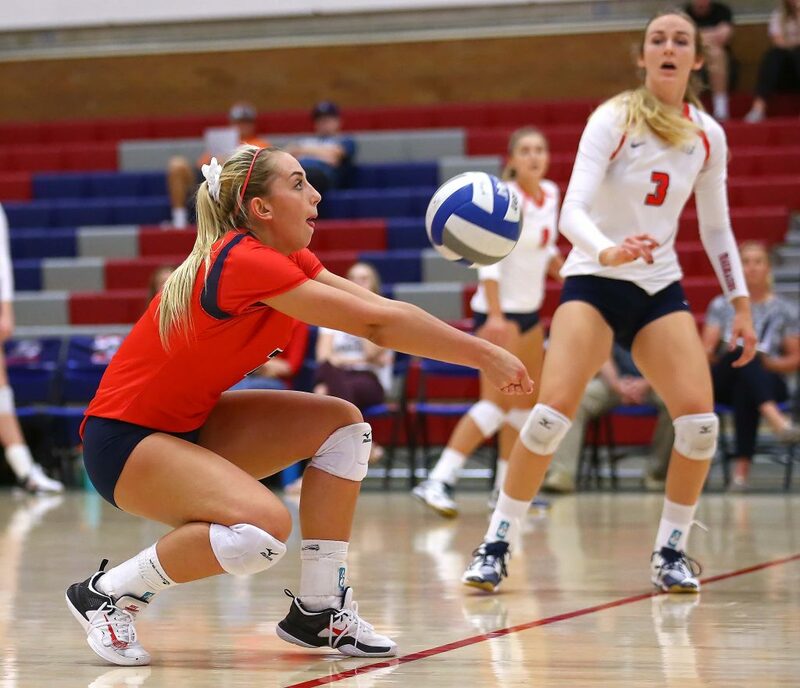 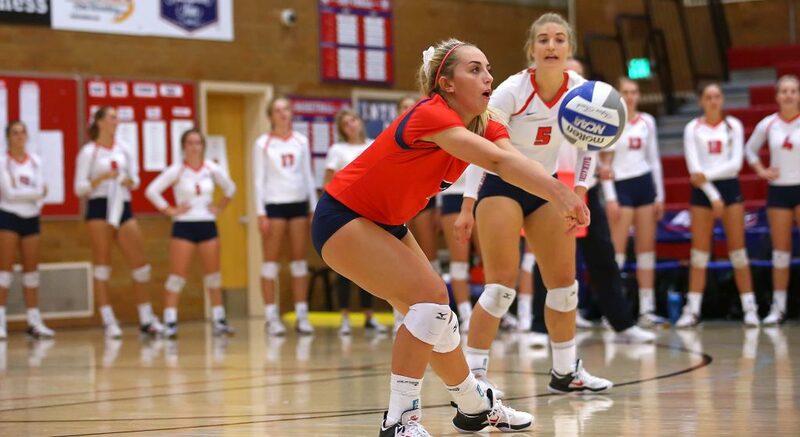 A night after posting a season-high hitting percentage, Dixie State bettered it by a full 20 points as the Trailblazers hit an even .300 in the match, including a .438 clip in the opening set. 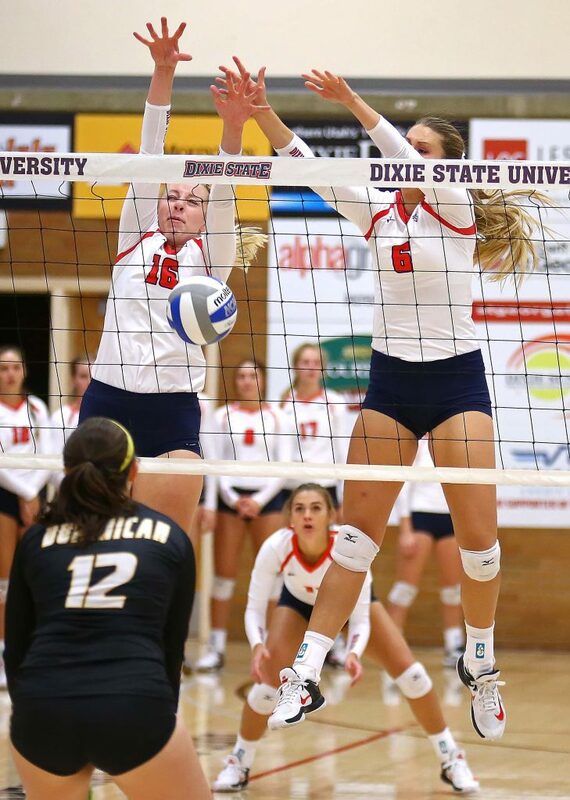 Sophomore Lauren Gammell (Spanish Fork, Utah/Spanish Fork HS) collected game-highs of 12 kills and four total blocks, while junior Kayla Chapman (Fullerton, Calif./Troy HS) hit .647 on her way to 11 kills, which was one off of her career-high of 12 set last season vs. Dominican (11/5/16). 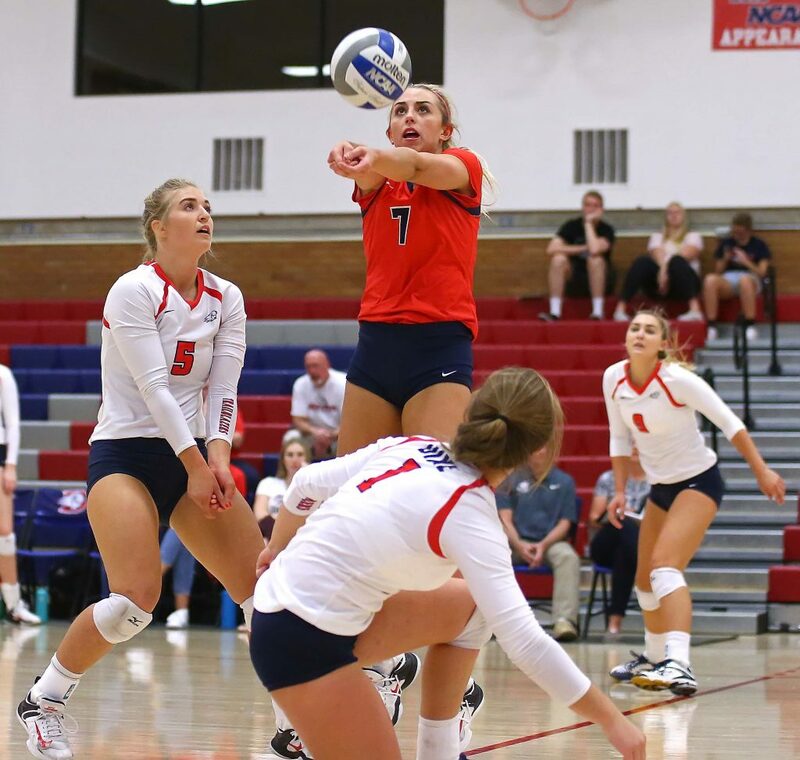 Freshman Jordyn Nelson (Phoenix, Ariz./Greenway HS) posted a double-double with 19 assists and 10 digs to with a career-high four aces. 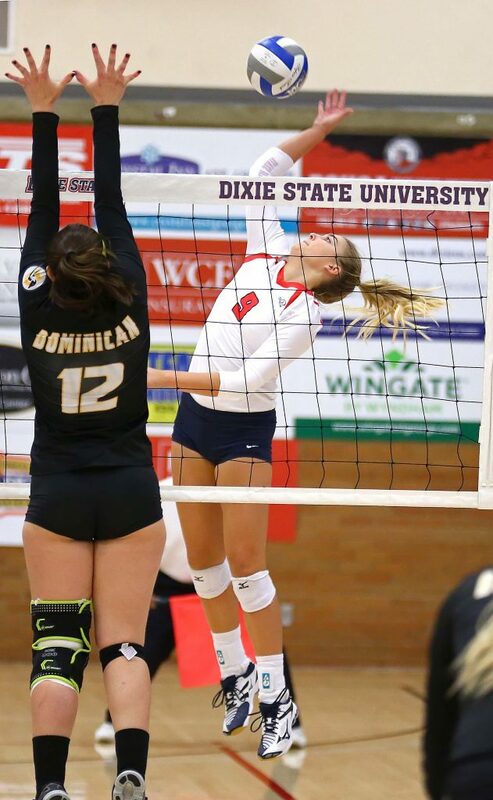 DSU’s defense limited Dominican to a .145 hitting percentage as three Trailblazers collected double figures in digs, led by juniors Sid Brandon (Bountiful, Utah/Bountiful HS) and Hannan Doonan with 15 and 11, respectively. 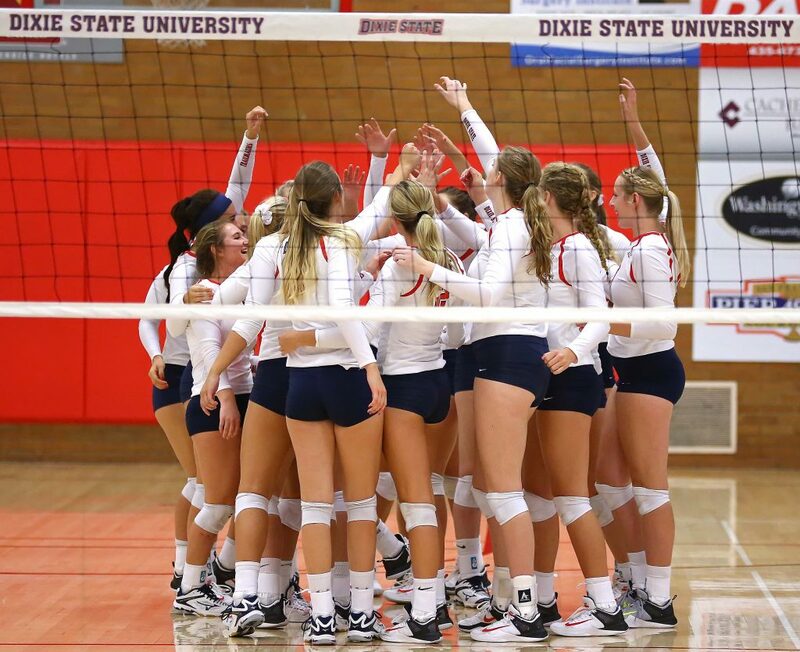 Dixie State closes its three-match homestand next Friday night, Oct. 5, when the Trailblazers welcome in Hawai’i Pacific to the DSU SAC. 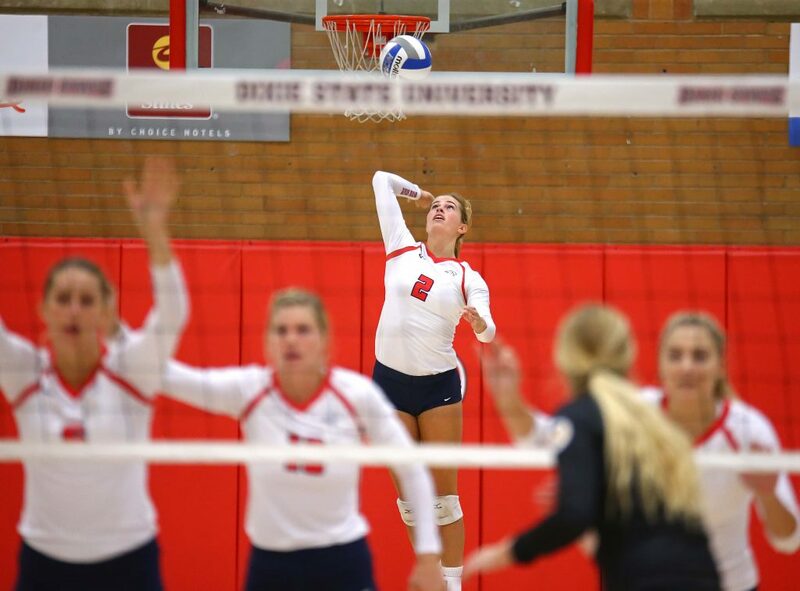 First serve is set for 6 p.m.